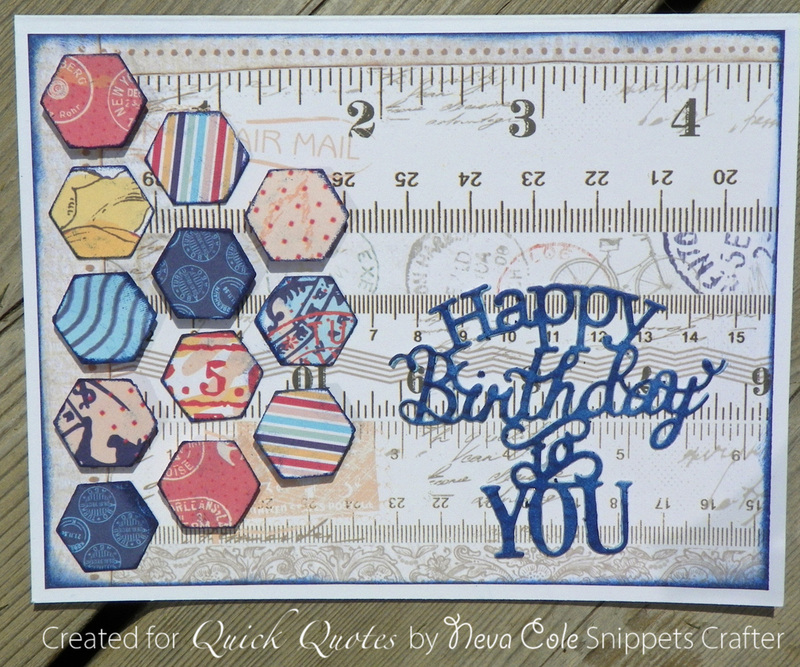 Blog Quick Quotes: Card Inspiration with Neva! 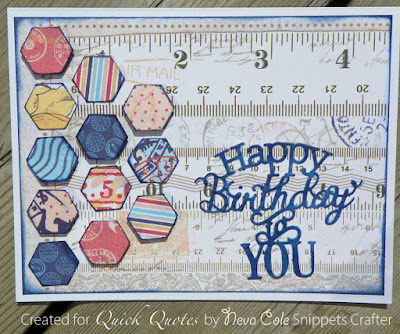 Neva here to share a quick birthday card made from snippets of the Far and Away collection. When you are down to bits and pieces of a collections sometimes it is best to make a few cards! This is a simple card to create using a few die cuts and of course... some PowderPuff Chalking Ink. I started with what scraps I had on hand. A Far and Away 102 piece was trimmed to 4 1/4" x 6 1/2" to fit the front of an A6 card base. It is edged in Powder Puff Chalking Ink in Deep Sea. 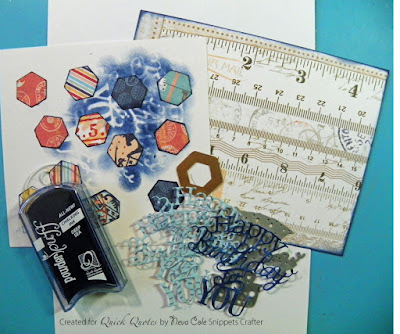 Twelve small hexagons are die cut from various other papers and in the collection. All are edged in Deep Sea. Three layers of the Happy Birthday to You are die cut. The top layer is inked with Deep Sea. To create a chipboard effect with the sentiment the layers are stacked together and adhered. This photo shows the layers underneath the top inked layer. The hexagons are adhered, some directly the to card front, others with dimensional foam adhesive. 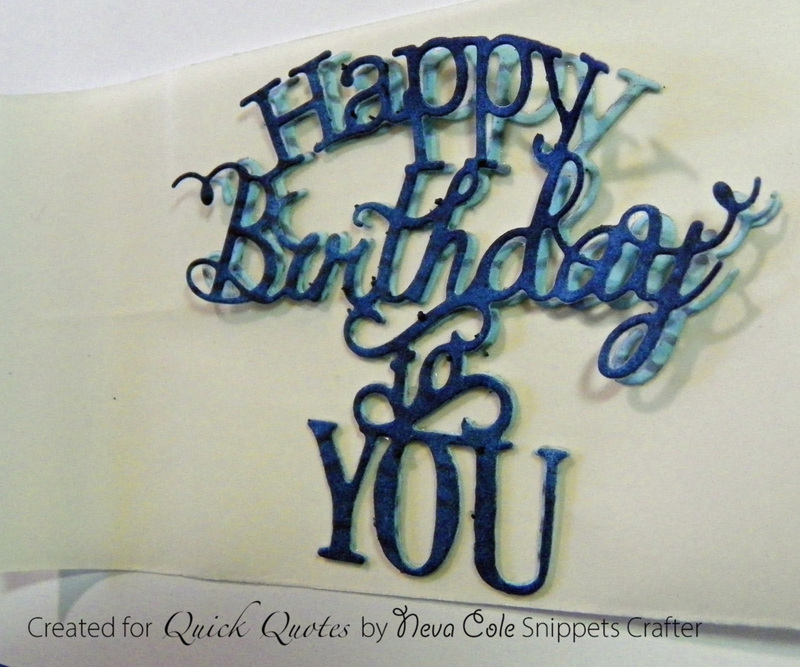 This card took about 15 minutes to create, sometimes that is a positive when you forget to make a card and need one in a hurry!